This Italian Maestro of the Baroque guitar was a native of Pavia. Little is known of his early life, but by 1639 he had certainly begun his musical career in the university town of Bologna, working as a teacher. 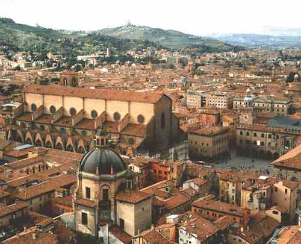 The university of Bologna is acknowledged as the oldest continually operating university in the world. 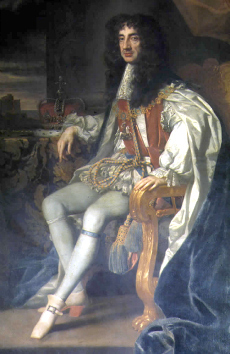 Next we find him playing in the court of Archduke Leopold Wilhelm in Brussels, where in 1648 he published his third opus, and then on to Paris in 1656. Here, where he was known as "Francisque Corbette", he appeared in a court ballet under the direction of his expatriate countryman, Jean-Baptiste Lully, in which King Louis XIV , also known as the "Roi Soleil", performed one of the dancing roles. 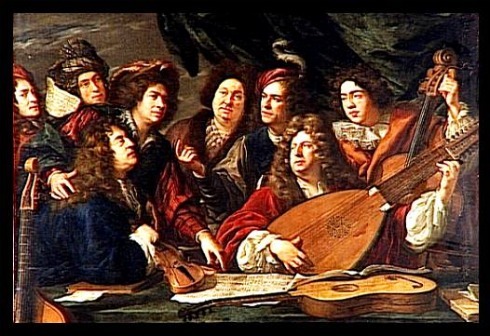 Corbetta was also a guitar tutor to the royal court, and counted King Louis XIV amongst his pupils. Around the age of 24 years his first modest collection of guitar pieces was published. The dedications in this book reveal that he taught and was patronized by many important noblemen and church dignitaries. Included amongst his students was a young Giovanni Battista Granata, who later was one of Francesco Corbetta's chief rivals, and a prolific composer for the Baroque guitar. A second book appeared in 1643, this one dedicated to Carlo II, Duke of Mantua whom Corbetta had been in the employ of. He was in high demand as a guitarist in many of the royal courts of Europe, and between 1644 and 1653 travelled widely visiting Austria, Spain, Netherlands and Germany. 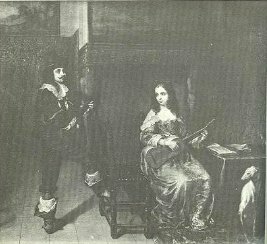 August 5, 1667 After done with the Duke of York, and coming out through his dressing room, I there spied Signor Francisco tuning his guitar, and Monsieur de Puy, with him who did make him play to me which he did most admirably - so well that I was mightily troubled that all that pains should have been taken upon so bad an instrument. (wikipedia) Evidently Pepys too succumbed to the allurements of the 'bad instrument', as the inclusion of Cesare Morelli's guitar tutor in his library (which still stands intact in Cambridge) suggests. In 1670 the wife of the Duke of Orleans, the young Henrietta Anne Stuart tragically died after apparently taking arsenic. Her husband was a brother to the Roy Soleil and she was a favourite of the entire French court. Corbetta wrote a "Tombeau" to commemorate her passing, the ‘Tombeau de Madame D’Orléans, which is regarded as one of his outstanding compositions, capturing Cobetta's reverence for her virtue and beauty. Corbetta enjoyed a universal reputation as one of the greatest guitarists of his era, and influenced another future great, Robert De Visée. Corbetta's fellow Italian published evidence of the high esteem in which he was held by guitarists, in his Allemande Tombeau de Monsieur Francisque which is contained in his first book Livre de Guittarre(1682). Francesco Corbetta's life as a travelling musician and cosmopolitan is well reflected in his compositions, where the diverse styles of the Italian and Spanish, combined with the French and English come together to form an international flavour of music. He died in Paris in 1681. The 5-course Baroque guitar was Francesco Corbetta's sole focus in all his publications. Three appeared in the Italian style, featuring mostly strummed dance music, in 1639, 1643, and 1648. Much later, in 1671 and 1674, two French style collections were published, one dedicated to the King of France and the latter to the King of England. These exhibit a great mastery over the combination of strummed and plucked textures, and included instruction on the use of the guitar in the role as a continuo instrument.